iOS 8 Drops Tomorrow, Will Pioneer NEX CarPlay Update Follow? 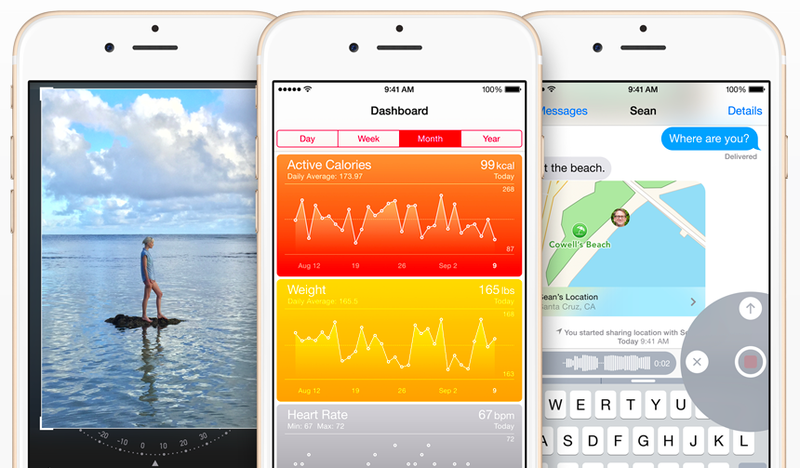 Apple's latest mobile operating system, iOS 8, will be available as a free download tomorrow. Most iDevices will get the update. A complete list of supported devices is below. The bigger question is, will September 17 also mark the day Pioneer releases the CarPlay firmware update for its NEX receivers? If Apple has been waiting for iOS 8 to be released in order to give the go-ahead to Pioneer for the CarPlay update, tomorrow could be the day. There is not much to suggest a possible date for the release but summer is running out. With less than a week to go, everyone is scratching their heads about CarPlay. It will also be interesting to see if Apple has made any changes to CarPlay in iOS 8.
iOS 8 will be available on iPhone 4S and above, iPad 2 and above, iPad Mini and above, iPad Air, and iPod Touch 5th Generation. If you have over-the-air (OTA) updates enabled, you will be able to update without having to connect to iTunes on a computer. iOS 8 and AppRadio Mode: Pioneer posted information regarding iOS 8 and AppRadio Mode on their website a few days ago. Apple's new OS has not been tested yet and compatibility with AppRadio Mode is not known. But beta versions of iOS 8 were compatible with AppRadio Mode, even though there were a few issues. When iOS 8 becomes available tomorrow, we will test it out with AppRadio Mode and report back.